Poland’s eastern border has long been wild and a little untamed. This is a region of magnificent primeval forests untrammelled by tourists and dotted with castles and medieval towns. A disputed land for centuries, today it is home to poles, Belorussians and Ukrainians, resulting in a rich mix of architectural styles and traditions. You’ll find Orthodox churches and colorful wooden houses throughout, and—in the town of Bialystok—palace Branicki, once known as the polish Versailles for its 18th-century, French-style design and landscaped gardens. Just over an hour to the south (there are several buses daily), you’ll find the village of Białowieza, gateway to the forest of the same name. The Białowieza Forest is the last major area of the woodland that once extended across Europe. These woods stretch across the border into Belarus and are still roamed by bison, lynx, wolves, bears, and elks. Three hours farther south is Lublin, once an important center of Jewish life in Europe. Modern Lublin is beautiful, and the old town hall and market square are surrounded by medieval houses on winding, cobbled lanes. 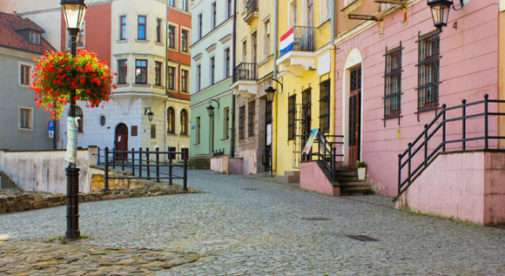 Lublin is a university city and you’ll find a vibrant café and art scene, with lots of theaters and galleries. Once known as “the Padua of the North,” the fortress town of Zamosc is an hour away from Lublin. It’s a must if you’re in the region. One of Poland’s most famous Renaissance era noblemen, Jan Zamoyski, had the town modeled on Italian theories of the ideal city, and it’s the perfect example of a late-16th-century Renaissance town. Nearby is Roztocze National park, the last home of the small, wild polish horse called the Tarpan. The forest itself has the biggest fir trees in Poland, as well as Carpathian beech, spruce, oak, hornbeam, and aspen. There are numerous small lakes full of wildfowl. As you would expect, menus abound with game dishes—deer, boar, and duck—and fish dishes are popular, including pike, carp, perch, and eel. For dessert, try makowiec (a sponge cake with a poppy-seed filling). Costs are low and a hearty three-course meal will cost you and a friend around $30, while accommodation in a nice guesthouse will set a couple back $40 a night. Learn more about Europe and other countries in our daily postcard e-letter. Simply enter your email address below and we’ll also send you a FREE report – All the Charm and Romance of Europe…at a Price You Can Afford. This special guide covers real estate, retirement and more in Europe and is yours free when you sign up for our postcards below.